Would you make a good court reporter? Take our career test to find out how you match with this and over 800 other careers. What is the workplace of a Court Reporter like? 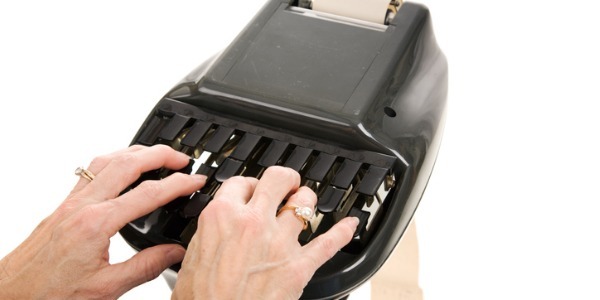 What is the difference between a court reporter and a CART provider? A court reporter is someone who uses a stenotype machine to capture verbatim everything that is said during a court proceeding, and who then delivers the transcripts of the proceedings. The purpose of a court reporter is to ensure that everyone's rights are protected during a legal process, whether it be in public hearings, tribunals, inquiry boards, in courts, or in legislative assemblies and committees. Some court reporters work outside of the legal arena to provide real-time closed/broadcast captioning services to a broadcast network during sporting events, political speeches, live entertainment events, conventions, and conferences. Others specialize in Communications Access Realtime Reporting (CART), which provide services for the deaf and hearing impaired. A court reporter will record and transcribe spoken or recorded speech during a legal proceeding into written form. By using shorthand or voice writing equipment, he or she will create word-for-word documentation of witness statements, high profile criminal trials, conferences, hearings, pre-trial depositions, meetings, and arbitration sessions. Lawyers and judges often rely on court reporters to verify testimony, therefore accurate transcriptions are imperative for legal records and documentation. There are some court reporters that are particularly skilled in providing instant transcripts while legal proceedings are still taking place; this is especially helpful to people who are deaf or hearing impaired. A court reporter will often be called upon to read back verbatim statements or evidence during legal proceedings. Are you suited to be a court reporter? Court reporters have distinct personalities. They tend to be conventional individuals, which means they’re conscientious and conservative. They are logical, efficient, orderly, and organized. Some of them are also enterprising, meaning they’re adventurous, ambitious, assertive, extroverted, energetic, enthusiastic, confident, and optimistic. Does this sound like you? Take our free career test to find out if becoming a court reporter is right for you. Court reporters can work in a variety of places, such as in courts or legislatures for local or state governments. Some do freelance work outside the courtroom for things that require official legal transcript. Court reporters are also employed by television stations and producers in order to provide real time closed captioning for the deaf and hearing impaired. Those working in broadcast captioning may work out of a central office or their home. CART providers (Communication Access Realtime Transcription or Computer-Assisted Real-Time) and court reporters both use the same equipment and software, but CART providers always work in realtime for a primarily deaf and hard of hearing clientele, whereas court reporters work for attorneys or judges in courts of law or deposition rooms. They sometimes employ realtime, but their primary responsibility is to take down a full and complete record to be edited, printed, and sold to clients. They are paid a fee per appearance and a somewhat higher fee if they offer realtime feeds, but most of their income comes from transcript sales.